If you are anything like us, you already know how hard life can be when you’re living with a chronic illness or disability. It never leaves you, it’s the architect of everything you do and it zaps your enthusiasm for an active life but it doesn’t need to be that way. We all know, we’re unlikely to become pain-free or shake off the chains of our chronic illnesses and disabilities. So we adapt, we learn to live with it and figure out another way to thrive, to enjoy our lives despite our illnesses and that’s what I want to share with you in this post. Our escape from chronic illness is travel. Both Bridget and I have illnesses that limit our ability to travel but instead of using them as an excuse, we treat them as a challenge. For us, travel makes us happy, it’s where we are our old selves and where we can momentarily forget about our daily challenges. We know it’s hard travelling with a chronic illness or disability, we know there will be times when travel is impossible and we also know it’s often easier to do nothing. We get it, but here’s the thing, on the flipside, travel can be liberating, exciting and an opportunity to escape, even for a short time. Travel can often seem like a challenge too far. With that in mind, let us share our top tips for travelling with a chronic illness or disability. These tips won’t remove all of your barriers, but what they will do, is give you the chance to stack the deck in your favour. Attitude is often overlooked when we talk about travelling. What we mean by attitude is how you view travel, is it a chore, scary, too difficult or is it something to look forward to, exciting and a welcome relief from the norm? If you start with the attitude “Where There’s a Will There’s a Way” then despite your reservations, travel can become one of the most rewarding activities for both your physical and mental health. Another aspect of having the right attitude is what you actually view as travel. For some, travel means going abroad, laying on a beach or cruising the seas in a luxury cabin. For others, travel means going for a walk in a local park, visiting a neighbouring town, taking a staycation and everything in between. The point is, travel can mean whatever you want it to mean. If travelling abroad sounds scary, start with a day out in your own backyard. We love a walk along the promenade or through a local country park. One you have one or two successful days out under your belt you’ll be surprised how your attitude to travel changes. Once you’ve proven to yourself that you can do it, you can then move onto an overnight stay in an accessible hotel or a weekend away in an accessible cottage. As a person living with a disability or chronic illness, you’ll already be used to planning. It seems our whole lives revolve around planning and never more so when it comes to travelling. Most tourism destinations, holiday companies and accommodation providers have access information on their website. 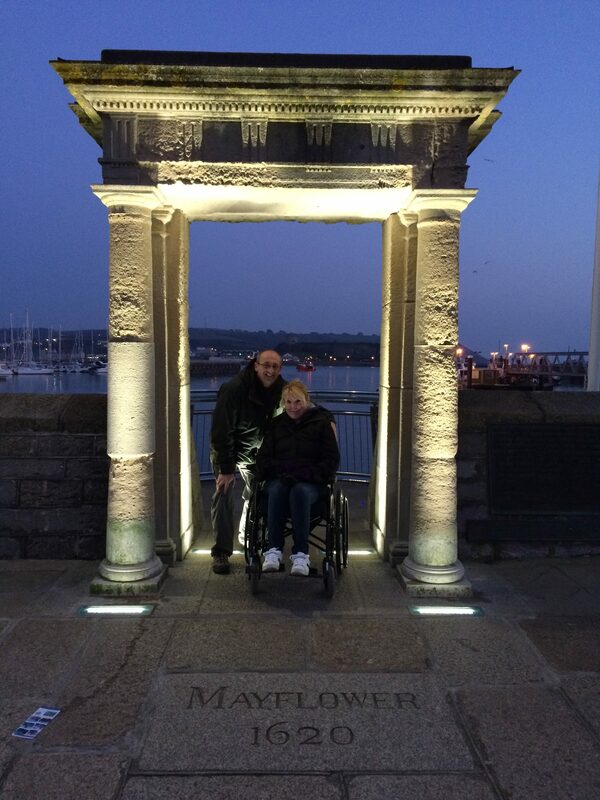 Then there is first-hand information from travellers such as ourselves on The Bimblers, the national accessible tourism charity Tourism for All and sites like Euan’s Guide. When we plan a trip, we start with the official tourism department website then use Euan’s Guide and Facebook groups to look for people who’ve actually visited. This way, we are able to fill in the gaps of information not available on the official site. These days, there is so much information available online but only you know the specific details you need to make an informed decision about whether your chosen destination or activity is right for you? Another thing about planning is to expect the unexpected. The truth is, things go wrong, they always do whether you’re disabled or not. It’s impossible to plan for every eventuality, which takes us back to attitude. When you travel, it’s not what goes wrong, it’s how you deal with it and that leads us nicely onto our practical tips for travelling with a chronic illness and disability. Make sure you have enough medication to last your whole trip. Ideally, have some kind of documentation detailing your conditions and proof of needing to carry medication. Whether you’re travelling in the UK or abroad, make sure you know where the nearest Doctor or Hospital are located. If you are travelling abroad, make sure you know where there’s an English speaking Doctor. Very important, make sure you have adequate travel insurance and contact numbers should you need to use it. If you use equipment such as a wheelchair, where can you get spare parts or repairs if it breaks? Can you hire aids or equipment locally? Depending on your condition, is your holiday accommodation suitable? Don’t wait to get there to find out and despite what we said earlier, don’t believe everything you read on the internet. Contact the accommodation directly, ask specific questions about access, ask about facilities both in your room and in the rest of the hotel. If you need to know how wide the door is, how high the bed is or what evacuation procedures are in place, don’t be afraid to ask. 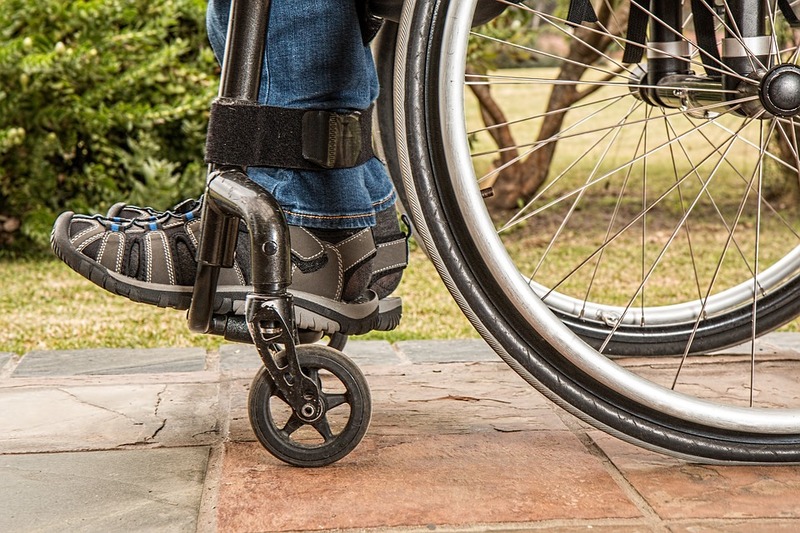 If you need to take your own mobility aids or hire them in, check in advance that your accommodation provider allows them. Check to see what equipment they already have in place and if there are any additional charges to use them. If you’re using public transport, is it accessible? If you’re flying, what policies do the airline have in place for passengers carrying medication or mobility equipment? What assistance is available to help navigate the airport, help you board the plane and disembark? Can you use the toilet on the plane, can you get up and move around if you get too stiff? What are your rights if something goes wrong, you’d be surprised how many airlines lose bags or damage wheelchairs. If you like exploring, check in advance that the places you want to visit are accessible. If you’re driving, what’s parking like for disabled drivers, are there any concessions for blue badge holders? If you’re going on a guided tour, make sure the tour will move at your pace. If you’re accompanied by a carer, are there any discounts available for carers? Many tourist attractions offer discounts or free entrance for carers. Build downtime into your travels. When you’re on holiday it’s tempting to rush around and try to cram everything in – don’t! Take time to relax, listen to your body because it’s the best measure of how much or how little you should be doing. If you need to take a day off when you’re travelling don’t feel guilty just rest up and look forward to the next day. Whenever we read tips about travelling with a chronic illness or a disability, they generally talk about the practical side of travelling, much like we did above. But, they inevitably forget to mention the most important travel tip – have fun. Travel should be a pleasurable experience, there is little point in worrying about things that haven’t happened yet because it takes the fun out of it. Once you’ve done your planning, made your arrangements and prepared yourself to have a good time, let yourself do exactly that – allow yourself to have fun. If you would like to find out about how Mangar Health can assist you when travelling if you’re living with a disability, please get in touch with our sales team who will be more than happy to help. Rob and Bridget are the bloggers behind the successful travel blog TheBimblers.com. 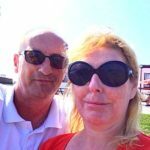 They share personal stories of travelling in a wheelchair, overcoming the barriers of travelling with Rheumatoid Arthritis and Fibromyalgia and they actively promote good disabled access in the tourism industry.